Cliquez ici pour recevoir des notifications des nouveaux giveaways sur votre navigateur. Ne manquez aucun giveaways. Autorisez des notifications sur votre navigateur. Chaque jour, nous vous offrons des logiciels sous licence GRATUITS que vous devriez autrement payer! Kotobee Author est un créateur d'ebook complet et éditeur EPUB. 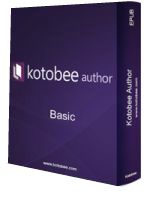 L'offre gratuite du jour pour Kotobee Author Basic Plan 1.3.12 (Win&Mac) était valable le 5 décembre 2017! 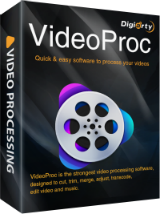 Convert, fix, adjust and edit any videos/audios/DVDs effortlessly. Kotobee Author est un créateur d'ebook complet et éditeur EPUB, adapté pour l'éducation, la formation et l'édition. Créer des ebooks interactifs riches avec vidéo, audio, 3D, widgets, des questions, et plus encore. Exporter votre ebook à de nombreuses plates-formes différentes, tels que EPUB, MOBI (Kindle), applications Web, applications de bureau et applications Chrome (l'exportation d'applications Androïde et iOS n'est disponible que pour les utilisateurs Premium). La licence de base, exclusive pour GOTD, vous permet de marquer vos applications Web et de bureau avec votre propre logo au lieu de Kotobee. Remarque: l'archive du programme comprend les installateurs de programmes x32 et x64 et la version Mac! 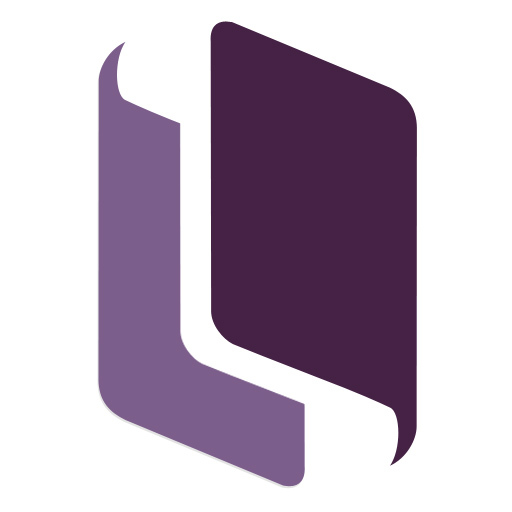 Kotobee Reader est votre outil de choix pour la lecture de fichiers EPUB interactifs. I am confused about what is on offer. The offer page says "The program is available for $50.00, but it will be free for our visitors as a time-limited offer," but Kotobee's website says the price of the Basic version is $100 for "1 User - Lifetime." Commenter Bob wrote, "the license is for ONE month only!" So, can the developer or our friends at GOTD explain precisely what is on offer here? Many thanks. Have an older version, so the registration site doesn't want to send me a new key. Tried to update the old one, and that apparently invalidated its key. I've found a workaround that works if you have gmail, I don't know if it'll work for non-gmail addresses. Gmail will ignore a plus sign and what comes after it up to the at sign in the address. For example, if your normal address is " johndoe14@gmail.com "
Then you could tell them it's " johndoe14+likesducks@gmail.com " and they'll accept it and it will go to your normal address. It doesn't matter too much what you put between the plus + and the at @ but please try to avoid non standard characters as I haven't tested the bounds of what will work without issues. So leave off the symbols and anything you need to use character map or hold down the alt key for. I've found a workaround that works if you have gmail, I don't know if it'll work for non-gmail addresses. Gmail will ignore a plus sign and what comes after it up to the at sign in the address. For example, if your normal address is " johndoe14@gmail.com " Then you could tell them it's " johndoe14+likesducks@gmail.com " and they'll accept it and it will go to your normal address. It doesn't matter too much what you put between the plus + and the at @ but please try to avoid non standard characters as I haven't tested the bounds of what will work without issues. So leave off the symbols and anything you need to use character map or hold down the alt key for. meerling, Gmail also ignores embedded "dots"... So, John.Doe14 and John.Doe.14 will also work! the registration process is too complicated, asked email, registration came, when entered asked to register it again, with a filling of forms which need the website, and company name, and when you leave a gap you are forced too, even after you have completed those things still can not register, it keeps stay on the same page without register! A strategy game with stylized visuals. A new conversion of the classic snake game. Let’s Led turns your iphone/ipad into an ticker display. Learn to write the letters of the English alphabet by tracing. Customize the Android visuals with new icons. Prove your richness to the world. Jungle Collapse 2 is a new simple to play casual block collapsing puzzle game for all ages with 3 different game modes! Read Hacker News with a simple, clean, and readable user interface. © 2006 - 2019 giveawayoftheday.com. Tous droits réservés. Brevet en attente.